The home of Cameroon forward Gaelle Enganamouit has been vandalized in Yaounde following her failure to convert a penalty against Nigeria in the semi-finals of the 2018 Women’s Africa Cup of Nations in Accra, Ghana. Relatives of Gaelle disclosed that people threw rocks at the family residence and had threaten to return in due time. The attack comes barely 48 hours after the senior national female selection of Cameroon lost to Nigeria on penalty shoot-out 4-2 and failed to secure a spot at the final of the women’s event in Ghana. Cameroon still have a chance to make it to the finals of the 2019 Women World cup in France if they succeed to beat Mali in the third position match today at 5pm in Cape Coast, Ghana. According to the BBC sport Website, Coach Joseph B. Ndoko condemned the attack and disclosed that it may have an impact on their match today against Mali. 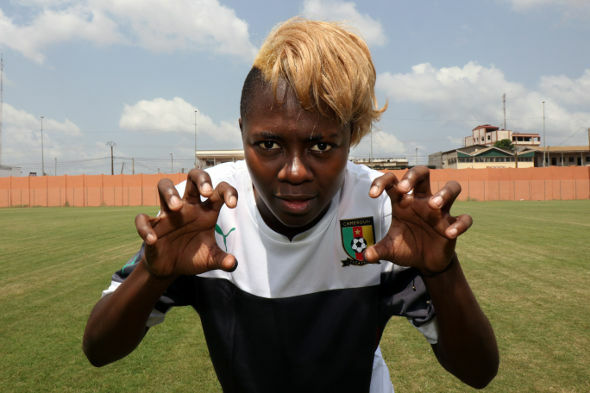 The 2016 Vice African Champion Enganamouit , has featured in Cameroon’s four AWCON outings and was on the score sheet against Algeria played in their second group A game.